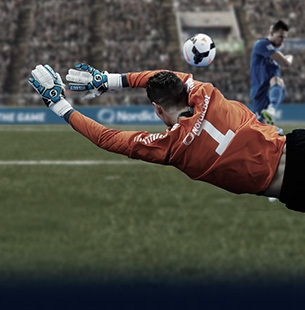 NordicBet has been offering online football betting to punters, since 2002. We were founded on the principle that punters in Sweden, Norway and Finland were not being offered the full range of markets on local football so we set out to put that right. • In Denmark Nordicbet are the proud sponsors of Division 1 football league which is now called NordicBet LIGA. • In Finland we offer pre-match odds on VeikkausLiiga, Ykkonen, Kakkonen, Kolmonen and Nelonen on the 1x2 and side bets. We also trade the key matches for our customers on LiveBet. • In Norway we offer a comprehensive range of markets and bets on Eliteserien, OBOS-ligaen, 2. Divisjon and 3. Divisjon as well as odds on games all the way down to the 9. Divisjon. • In Sweden we offer Allsvenskan, Superettan and other leagues all the way down to Division 5. 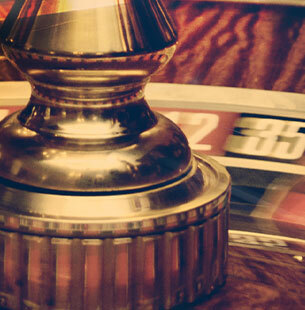 So whatever team you are passionate about, we have been offering odds on it for over 15 years. • International football, from International Friendlies to Euro and World Cup qualifiers as well as the tournaments themselves of course. We offer outright markets, player specials such as Golden Boot winner and other tournament ‘specials’. • UEFA Champions League - 1x2, loads of side bets, and all matches offered on Livebet. From Real Madrid to Bayern Munich, from Chelsea to Paris Saint Germain, we cover all 32 teams so you can bet on every match with NordicBet. • UEFA Europa League. We cover all 48 clubs playing home and away ties in the competition. • We have offered English Football for over 15 years, including the Premier League, FA Cup, Sky Bet Football League, the Capital One Cup, the Johnston’s Paint Trophy and the conference leagues. If there is a match played in England, we have it covered in pre-match, side bets and a load of games on Livebet. We also offer Scottish football. • We offer odds on all Spanish La Liga BBVA matches, including Real Madrid, Barcelona and Atletico Madrid. We offer LiveBet on all key games during the season, so you have more ways to enjoy the match with NordicBet. • We cover all major European leagues, including Ligue 1 & 2 in France, Serie A & Serie B in Italy and Bundesliga 1 & Bundesliga 2 in Germany as well as the Scottish Premier League. So if you are looking for the first goalscorer in Paris Saint Germain’s next game, want to put Celtic in your combi-bet, or really know how to hunt for value in the lower leagues, we have a comprehensive range of leagues, markets and bet selections covered.